After losing the first two games, the Ospreys won the last two to split the series. 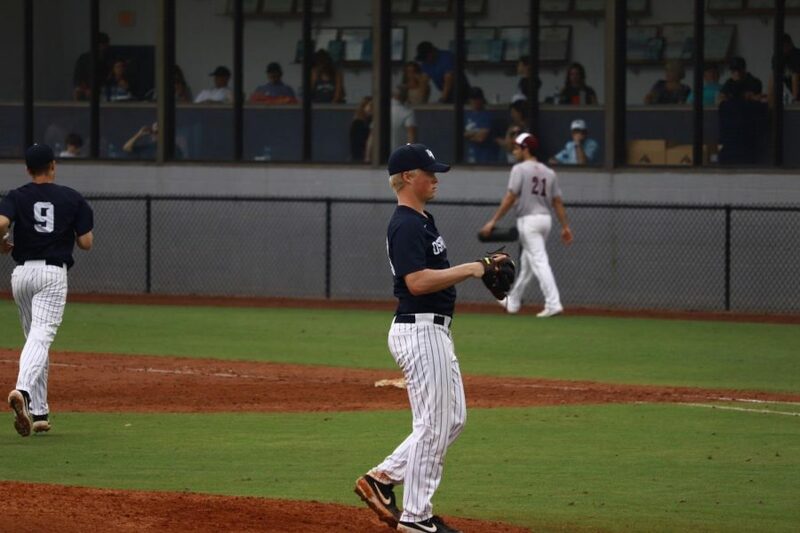 Seniors Brad Depperman and Josh Simpson were dealing on the mound for both teams for an old-fashioned pitcher’s duel. 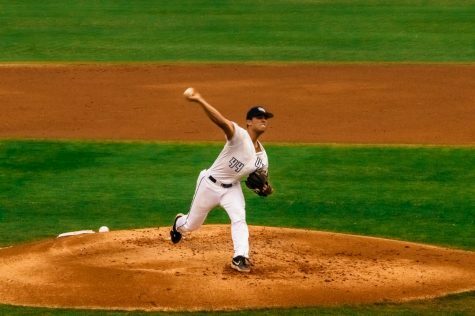 Depperman threw six innings of four-run ball while striking out nine as Simpson hurled eight innings of two-hit ball and allowed one unearned run with seven punchouts. Senior Chris Berry got the Ospreys on the board with an RBI single to score one in the bottom of the second. The Lions countered in the top of the eighth with a sacrifice fly to right from Sophomore Josh Nicoloff to tie the game at one. 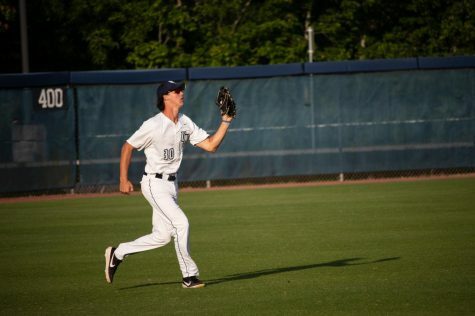 The Lions grabbed the 2-1 lead in the same inning with Junior Liam McGill scoring on a wild pitch as the Lions eventually won, 2-1. It was a game of offense as both teams combined for 18 runs as the Lions won, 11-7. 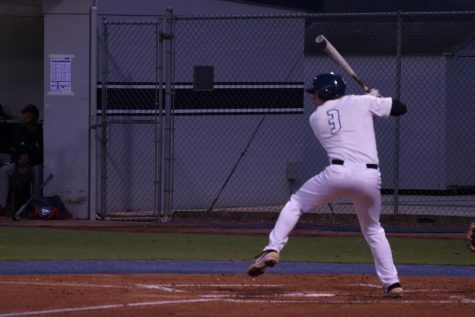 After the Ospreys grabbed an early 3-0 lead in the first two innings with RBI’s from Berry, Junior Tanner Clark and Senior Jay Prather, the Lions began to chip away at the lead with an RBI groundout by Junior Julian Bury in the top of the third for a 3-1 Osprey lead. The Lions gradually worked to gain a 5-4 lead in the top of the seventh until the Ospreys added two runs with RBI’s from Senior Alex Reynolds and Clark in the bottom of the eighth for a 7-5 lead. After tying it at seven in the ninth, the Lions forced extra innings to eventually grab an 11-7 win in the top of the twelfth. 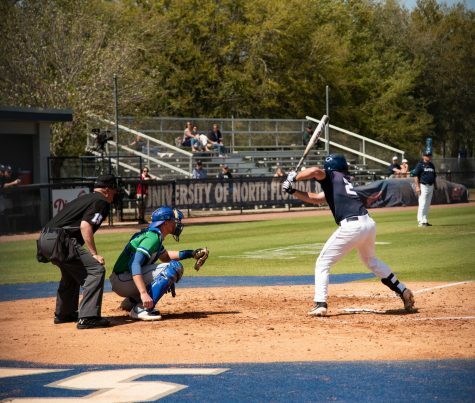 The Ospreys rebounded from the extra inning loss and edged past the Lions for a 6-4 win. 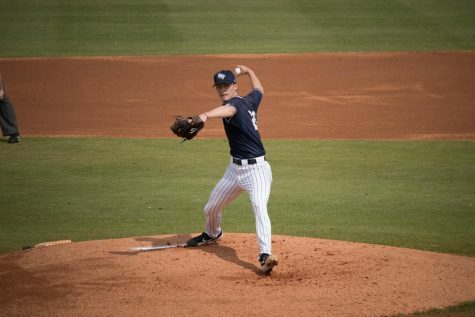 Freshman Logan Clayton started the game for the Ospreys and hurled five innings, allowed three earned runs, and struck out two. Redshirt-Junior Hunter Bowling came in relief and worked two and two thirds innings while allowing one earned run and struck out two. Redshirt-Junior Eddie Miller earned his fifth save of the season by pitching one and a third allowing a hit and striking out two. Prather and Junior Tanner May backed up the pitching by driving in two runs apiece. 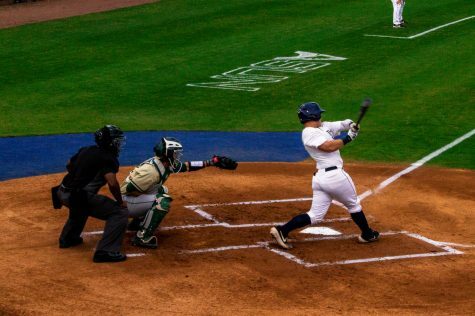 In the series finale, the bats were alive as the Ospreys powered past the Lions in an 11-4 win. 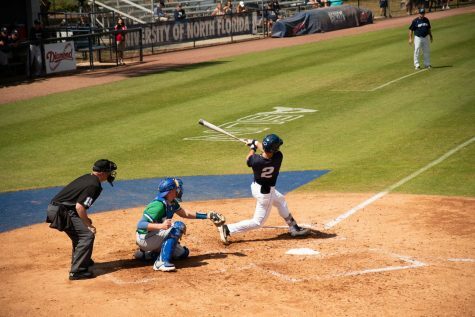 Four Ospreys recorded a multi-hit game with Sophomore Raff Libunao leading the team with three hits. Senior Nick Marchese had a strong relief effort, hurling five and a third innings, allowing an earned run and struck out four. 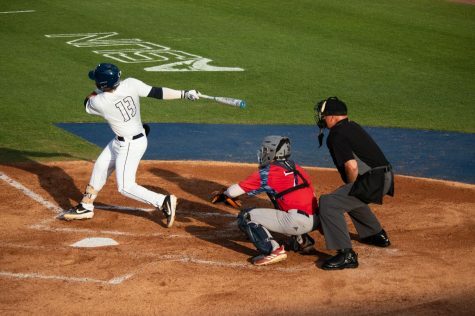 The Ospreys record is now 13-9 and stay home to play USF on Tuesday, March 19 at 6:05 p.m.